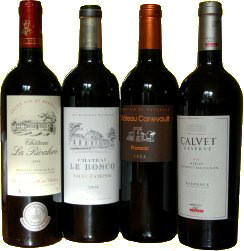 Just as the moderate quality and expected sky-high prices for the 2007 vintage seem to have put a huge damper on Bordeaux’s annual ‘en primeur’ jamboree, I thought it would be a good time to assess some budget-priced Bordeaux that’s already in bottle and available on a high street near you. Most of these wines, priced between £5.00 and £16.00, also have the advantage of coming from the excellent 2005 vintage, with some examples from the pretty good 2004 and 2006 vintages too. 2005 at all levels is increasingly impressive. 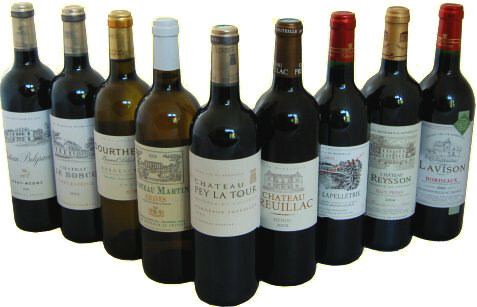 There are several from the large nécociant companies of Dourthe and Yvon Mau, which are doing a very good and consistent job of supplying quality wines from generic Bordeaux, to Chateau-bottled classifies properties, to the UK supermarkets and multiples. There’s some fine drinking to be had here, as well as some wines with cellaring potential.